Chelsea player slams the press. 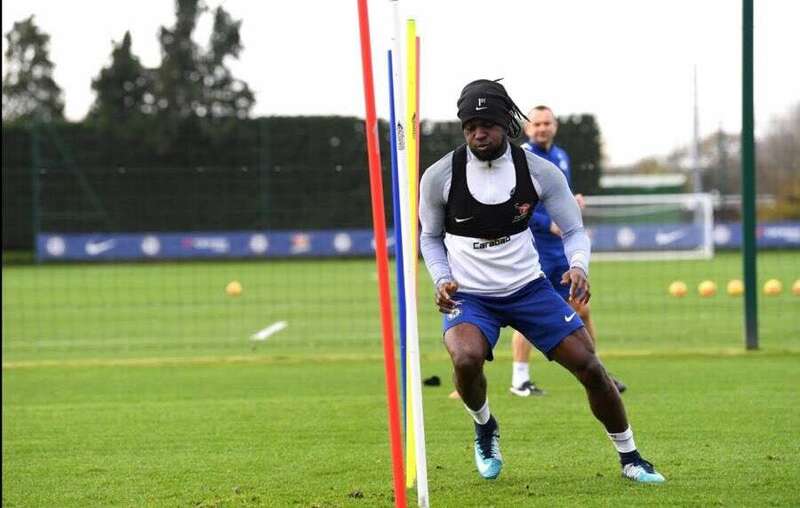 Victor Moses has spoken out against the Press of criticism of Chelsea this season. He has a defiant message for those people who doubt his team mates and the manager. Now having time to reflect on where we are in the league table and of the circumstances that we have had to deal with this season so far, I think we have done a good job to sit fourth and find ourselves only nine points behind the league leaders Manchester City. "I think we have done well [in my absence]. We as a team, whatever happens, we stick together as a team and do the best we can. I think people have been a bit too harsh but we as players don’t need to think about that or concentrate on what people have been saying after losing against Roma [3-0 in the Champions League]. We believe in ourselves collectively and individually, we have great players. We just take each game as it comes. We beat Manchester United, now everyone is saying that we’re the best, football is like this. We believe in ourselves and work hard together as a team." - Source: London Evening Standard. Moses is right and when you sit and think about it, it's been a far more difficult situation to deal with this time around. We started the season without Eden Hazard and Tiemoue Bakayoko, Gary Cahill was then sent off in our first game and suspended for the next three games. David Luiz was also sent off and missed three games, Danny Drinkwater signed at the end of the transfer window and picked up a calf injury which kept him out for a number of weeks, N'Golo Kante and Victor Moses picked up hamstring injuries and Alvaro Morata picked up the same. Despite all this we have kept in touch with the leaders. OK, we have to admit some of our performances have been disappointing with a number of dropped points but we also have to look on the flip side to excellent performances at Atletico Madrid, Tottenham, Stoke and Manchester United. Chelsea miss Victor Moses down our right hand side with Davide Zappacosta not quite at the levels we need him to be at in his place. As soon as Moses returns it will be a massive boost to the team. I agree with Moses, we gave great players at this club and once we have everyone fit and available we are more than a match for anyone else in the Premier League.